President Cyril Ramaphosa and Chinese President Xi Jinping hailed the opening of a BAIC auto manufacturing plant in Port Elizabeth's Coega industrial development zone as a milestone for the two countries' economies - with Xi expressing the hope that there would be "more and more cooperation" between SA and China. 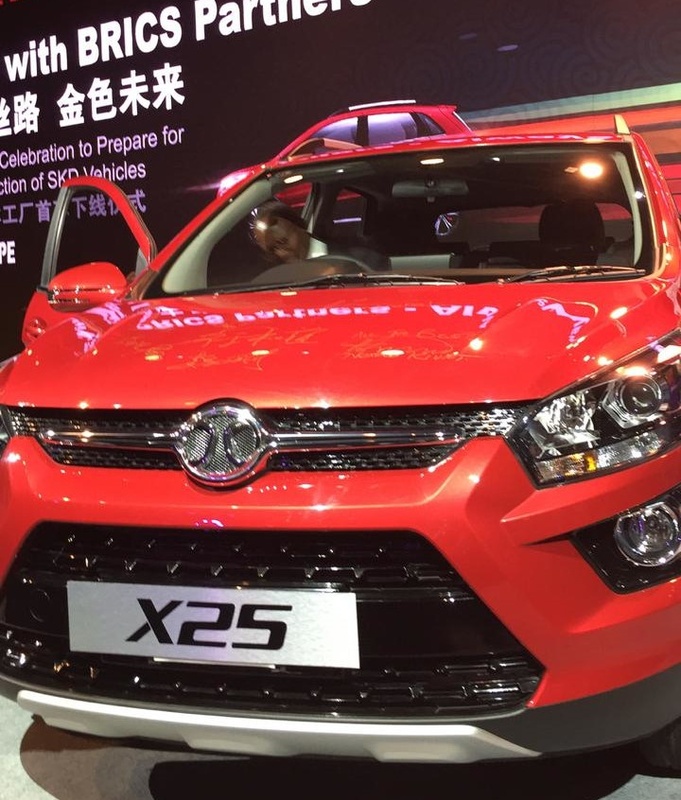 Chinese automaker BAIC will be starting full-scale production of its compact Sports Utility Vehicle in the fourth quarter of 2018, linked to an investment deal that was signed in 2015. The BAIC joint venture was a confirmation of the real working partnership between the People's Republic of China and South Africa, Ramaphosa said. "Today we have a factory producing wonderful goods. The whole of Africa is now open for BAIC to export these vehicles produced in Coega," said Ramaphosa. President Xi said China was now the biggest auto producer in the world, and wanted to bring these vehicles to the rest of the world. "Africa will enjoy rapid economic development, and China is ready to cooperate, especially in manufacturing. "I hope in future there will be more and more cooperation between SA and China," said President Xi. The completion of the R2bn first phase of the larger investment, unveiled at an event in Port Elizabeth on Tuesday, includes an automobile assembly plant located in SA's vehicle manufacturing hub of the Eastern Cape town. The plant is located in the Coega Special Economic Zone and will employ 120 people by the end of the year. BAIC said in a statement that the first phase of its SA plant comprised a 4 200 m² office block, an assembly and body shop of 42 000 m², and robotic equipment. Construction is set to commence shortly on the 21 000 m² paint shop, scheduled for completion by the end of 2019. The BAIC Group is a Chinese holding company that includes numerous auto manufacturers. Xu Heyi, chairperson of BAIC Group, said in a statement on Tuesday that BAIC's SA investment "advances both countries and is testimony to this week's Brics Summit theme, which centres on inclusive growth and shared prosperity in the 4th Industrial Revolution". Geoffrey Qhena, head of the Industrial Development Corporation, said the investment would create positive spinoffs, such as "additional investments and job creation from the numerous local and foreign components manufactured in the supply chain." According to its website, the 1.5 litre X25 costs between R219 990 and R249 990.